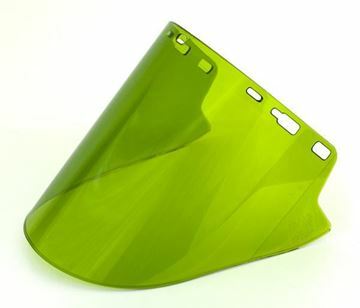 The ArcSafe® Elvex 14cal/cm2 Arc shields are tested and certified at Kinectrics High Current Laboratory, and are designed in light green to provide excellent visible light transmission (VLT). 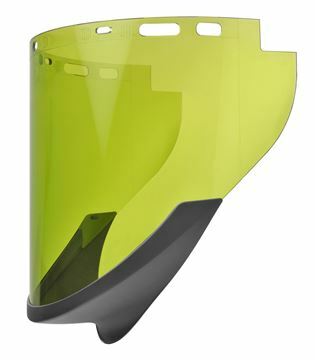 • Face Shield (FS20ARC10) - Molded polycarbonate faceshield measuring 250 mm x 470 mm x 2 mm (10 in x 18.5 in x .075 in), providing full wrap protection including a Chin Guard. 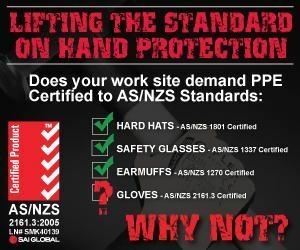 • FaceShield (FS20ARC10) - Molded polycarbonate faceshield measuring 250 mm x 470 mm x 2 mm (10 in x 18.5 in x .075 in), providing full wrap protection including a Chin Guard. 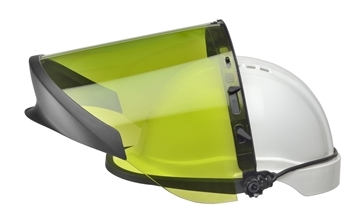 • Visor Holder for mounting to various style safety caps. 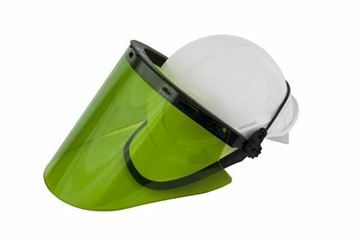 • Face Shield (FS18ARC10) - Molded polycarbonate faceshield measuring 250 mm x 470 mm x 2 mm (10 in x 18.5 in x .075 in), providing full wrap protection. 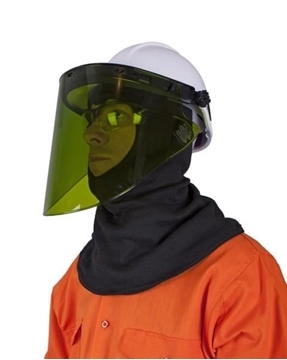 • Face Shield (FS20ARC10) - Molded polycarbonate face shield measuring 250 mm x 470 mm x 2 mm (10 in x 18.5 in x .075 in), providing full wrap protection. 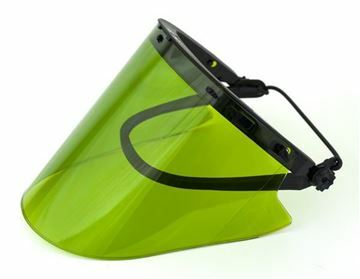 The ArcSafe® Elvex 13cal/cm2 Arc shields are tested and certified at Kinectrics High Current Laboratory, and are designed in light green to provide excellent visible light transmission (VLT). 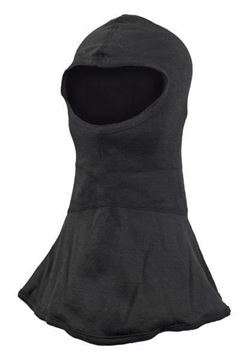 The ArcSafe® T9 Arc Flash Switching Hoods are inherently flame resistant, providing protection from electrical arc flash and flash fire. 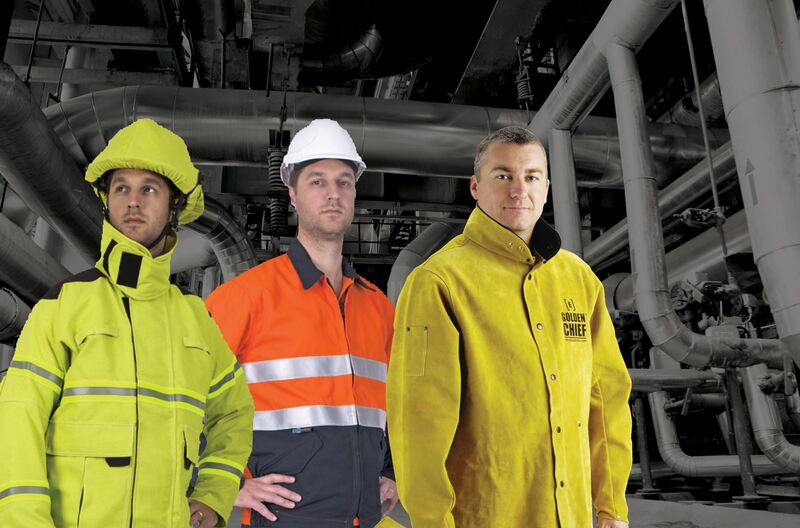 The ArcSafe® T40 Arc Flash Switching Hoods are inherently flame resistant, providing protection from electrical arc flashes and flash fires.